At the ASU Karsten Golf Course, challenge is inherent. Many touring professionals have honed their skills on the fairways and greens of this classic Pete Dye, Scottish links course. The course is home to the ASU Golf Program, which turns out winning teams year after year. As you stand on the 16th tee at the ASU Karsten Golf Course, you cannot help being drawn in by the beauty of the hole. A lake on the right side runs the entire length of the hole guarding the right and front sides of an expansive green. The ASU Karsten Golf Course, Home of Champions, is a classic Pete Dye adventure rated "FOUR STAR" by Golf Digest's "Best Places to Play." 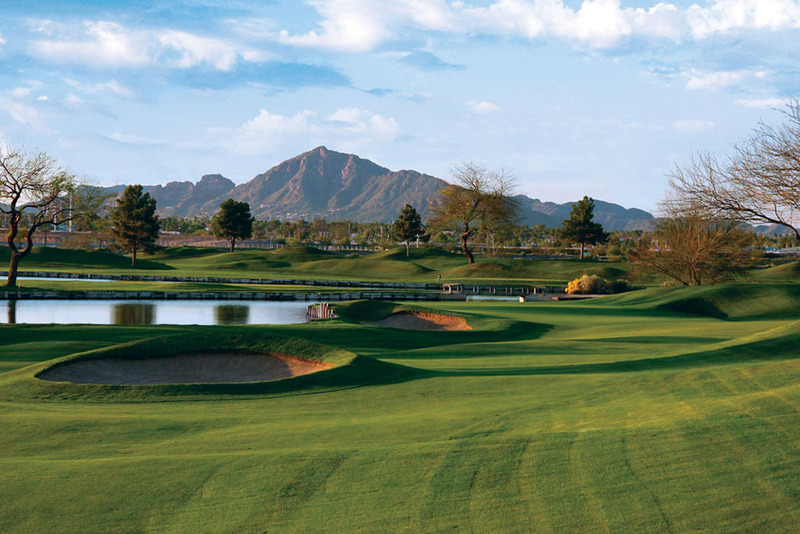 Conveniently located just 10 minutes from Sky Harbor International Airport, this Scottish links design, with rolling hills and railroad ties, boasts exceptional playing conditions and guest services year round. The 21,000 square-foot Sun Angel Clubhouse offers a distinctive menu for breakfast, lunch, and private event catering, all served in the agreeable ambiance of the award-winning Trophy Room Restaurant. Not to mention one of America's "Best 100 Golf Shops." The PING Learning Center is home to the latest and greatest from PING, as well as nationally acclaimed golf teachers, providing expert instruction and club fitting.